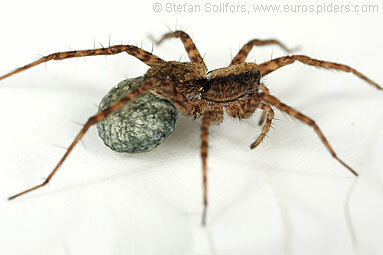 Female Pardosa lugubris carrying an egg sac. 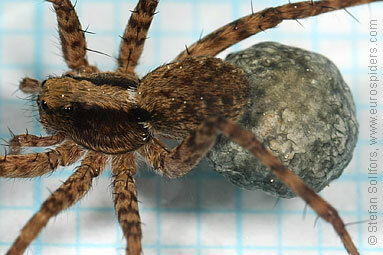 Female Pardosa lugubris, head-on view. 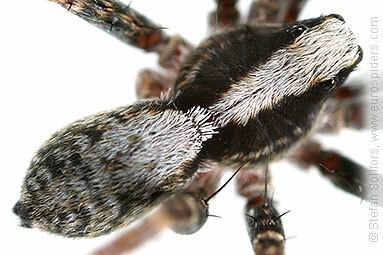 Close-up of the body of a male Pardosa lugubris. 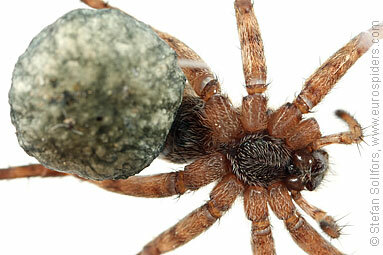 Close-up of the body of a female Pardosa lugubris. 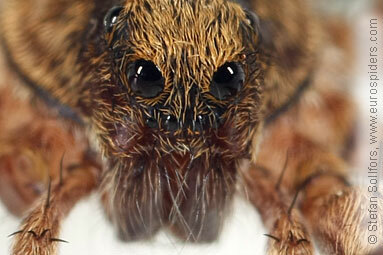 Close-up of the eyes of a female Pardosa lugubris. 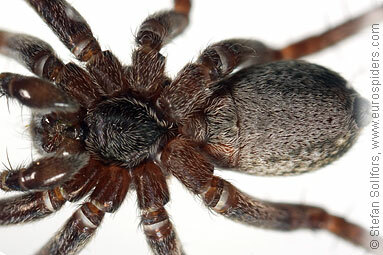 Female Pardosa lugubris from below. 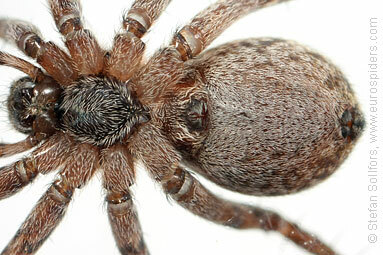 Jvenile male Pardosa lugubris from below. 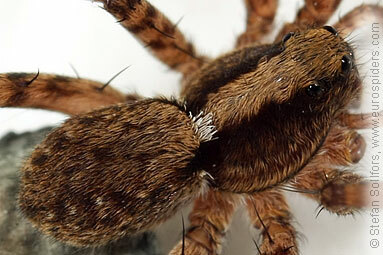 Female Pardosa lugubris, close-up of epigyne. 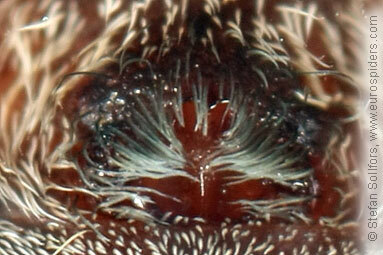 Close-up of the palps of a male Pardosa lugubris. 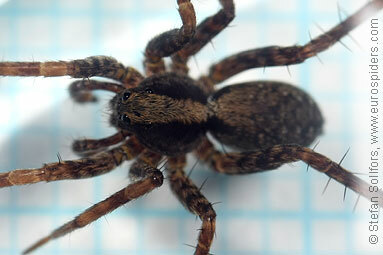 Female Pardosa lugubris, just above 5 mm. 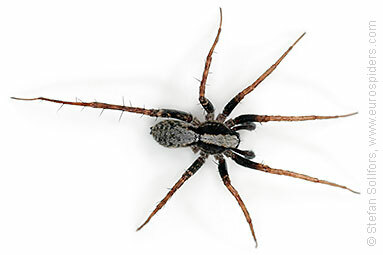 Juvenile male Pardosa lugubris, 5 mm. 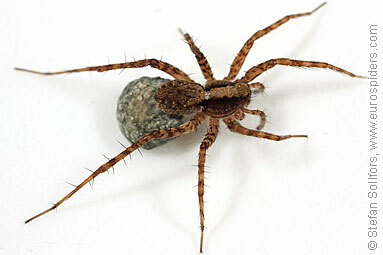 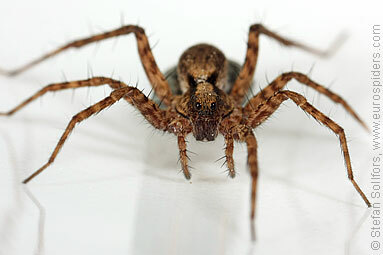 The Wolf spider Pardosa lugubris. 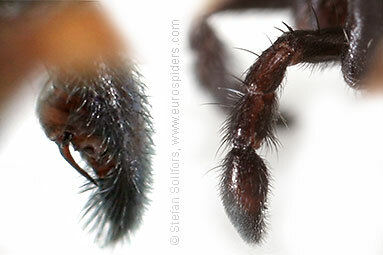 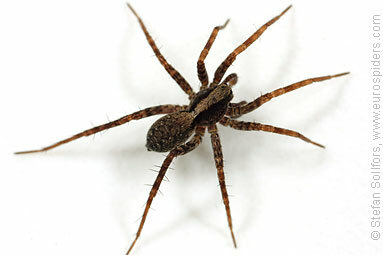 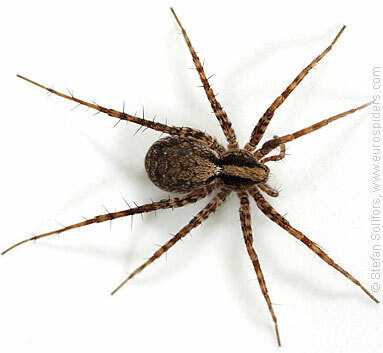 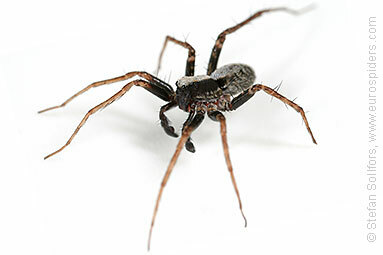 Notice the difference in colour of the male and female spider.